Today, rather than reflecting on a recent journey, I’m dreaming about our upcoming weekend away to Portland and the Oregon coast. Despite my unfairly pale skin, I’m a beach girl at heart. I would gladly spend every hour of summer lazing on the sand reading, only to be interrupted with quick dips in the waves or the occasional stroll down the beach, if I didn’t burn to a crisp so easily. As much as I love Vancouver, the beaches here don’t exactly measure up to what I’m used to in Australia. The “beaches” are more like bays, and there are no waves. This is why I’m so excited for our trip away to Oregon. Yes, the beaches there are windy. Yes, it’s likely to be cold (and possibly raining). Yes, the U.S. border line-up will no doubt be ridiculous. I don’t care. I’m going to a real beach and you can’t stop me. 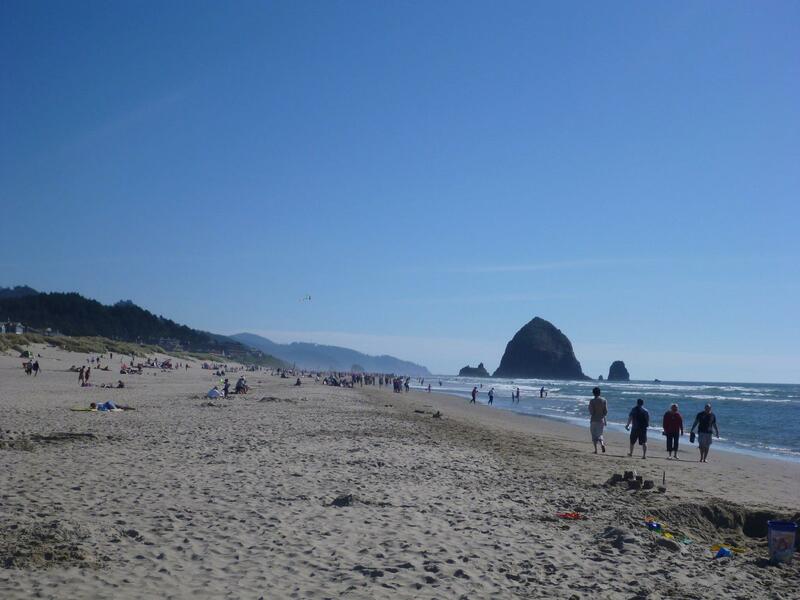 Last year we managed sunny skies at Cannon Beach. Let’s make it two in row! We’re also spending a couple of days in Portland, which is shaping up to be my favourite North American city (tied with Vancouver, BC, of course). Beer, bookshops, bicycles, and better-than-everything tax-free shopping? Portland, here we come. Don’t forget Portland has a Trader Joe’s too!